Launch it in your browser. We are happy to inform you of some interesting news in the world of Thermal Analysis. The new HS82 and HS84 Microscopy Hot Stage systems offer capability of visual characterization of thermal transitions, complementing our portfolio in a perfect way. We now offer a variety of new high-tech crucibles. They have been designed for the extremes – up to the highest pressures and temperatures or for measurements that demand the highest precision. 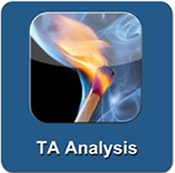 The TA App is now available for iOS and Android mobile devices! Download it now for the latest on applications and TA news! 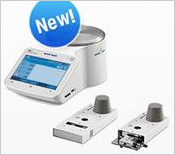 HS82 is the ideal solution when observation of small amounts of sample is needed over a regulated temperature, and the HS84 simultaneously records calorimetric behavior. The HS84 is now equipped with the FRS5 sensor, known from the METTLER DSC instruments. Stay informed with Thermal Analysis while on the go. The new schedule has just been released with some new and interesting topics. Find your favorite topic among 30 webinars. The well-known UserCom is back with Issue # 38, offering the latest ideas, news, applications and tips and tricks on Thermal Analysis.